In 2012, the alliance launched its first national lung cancer campaign with provocative images and a campaign that went viral and started people talking across the country. The “No One Deserves to Die” campaign used characters that the public might have an unconscious bias against, such as a cat lover, a hipster or someone with a lot of tattoos. Kay Bayne, director of marketing at the Lung Cancer Alliance, explained that the alliance ran ads that just said “Cat lovers deserve to die” and watched the reactions role in. “We saw man on the street interviews in major cities and people were saying, ‘This is so messed up—no one deserves to die,’” Bayne says. A week later, there was the reveal. The ads then said, “Cat lovers deserve to die if they have lung cancer.” That first campaign was the most successful and really changed the way people spoke about the disease, Bayne said. Changing the stigma around lung cancer can have a very important impact on individuals who are diagnosed with the disease. Although lung cancer claims more lives each year than colon, prostate and breast cancers combined, lung cancer research receives less funding than those other three cancers. According to Bayne, stigma is a large part of the puzzle when it comes to making progress combatting the disease. The National Institutes of Health and other public health organizations tend to focus primarily on tobacco cessation and prevention as a way to eliminate lung cancer, but “we know that just is not true,” Bayne says. With the focus on tobacco, research has not expanded much and as a result, there are not a lot of lung cancer survivors. The second campaign placed more focus on the fact that smoking isn’t the only risk factor for getting lung cancer. In the 2013 “Moments” campaign, the alliance focused on living more moments by getting screened. The campaign also discussed risk, informing former smokers that even if they have stopped smoking, they will always be at a higher risk than the nonsmoking population. The lack of research in the area of lung cancer really becomes apparent when focus shifts to the people who never smoked and get lung cancer. “We’re trying to learn more about their risks, and we just don’t have the research for the question about why the ‘never smokers’ get lung cancer,” Bayne says. 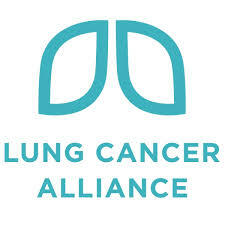 The third campaign the alliance ran in 2015 was the “How It Feels” campaign, which placed the focus on people diagnosed with lung cancer and their families and let them know they weren’t alone. The point of the campaign is to let people in the community know that there is someone else out there who understands what they are going through. And impact from that campaign has led to a growth in the organization. “I think the importance of these campaigns, and how they can make people feel a part of the organization, cannot be overstated,” Bayne explains.